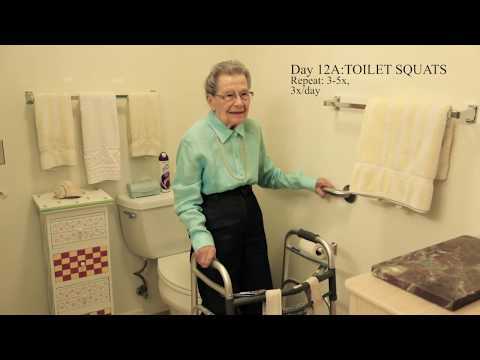 Safe Movements by Kim Kubsch and 12 participants ages 60-99, demonstrate this Daily Balance Program for better mobility and stability in and around the house. This DVD features practical applications of balance and posture exercises that mimics activities of daily living, whether sitting, standing, on a bike, golf cart or using a walker or a wheelchair. The 12 participants doing the various movements have had hip, shoulder and knee surgeries, arthritis, carpel tunnel, fibromyalgia, glaucoma, sciatica and hearing challenges and one recently fitted with a prosthesis at age 91. Kim Kubsch is a Fall Prevention Coach, Certified Tai Chi-QiGong Instructor (ATCQA), Certified Chair Chi Instructor and Certified Aging in Place Specialist who teaches group classes to mature adults in the Phoenix, Arizona area.